Mens black cotton boxer shorts. 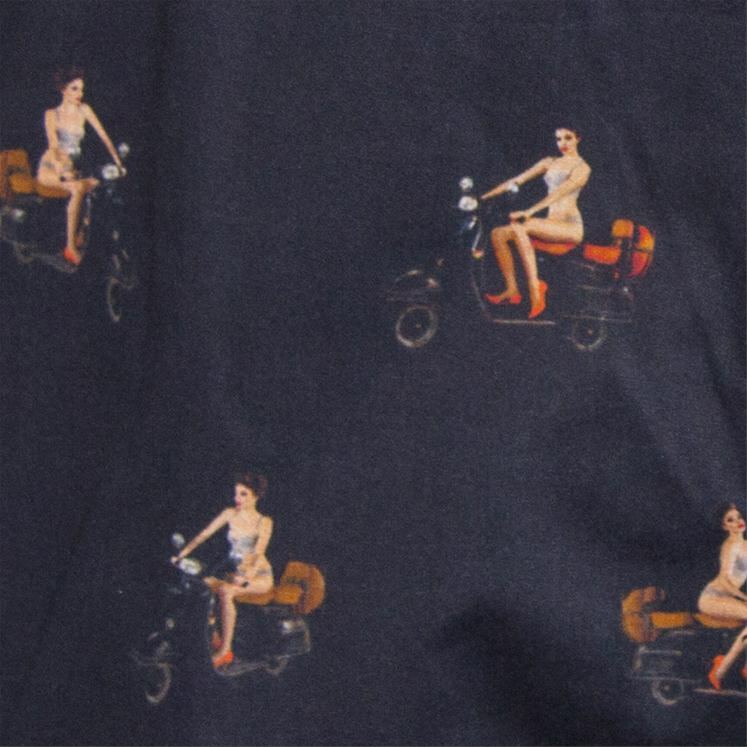 Adorned with an attractive lady riding a vespa. A classic relaxed fit with a comfortable elasticated waistband, no buttons to grapple with. Gresham Blake logo on the waistband.